Double Room with breakfast and Car Rental from 55 Euro per day! Join us in the Festive Buffet meals either on the Saturday Evening or on Easter Day. Take the chance to taste various local delicacies from our Snack Bar. 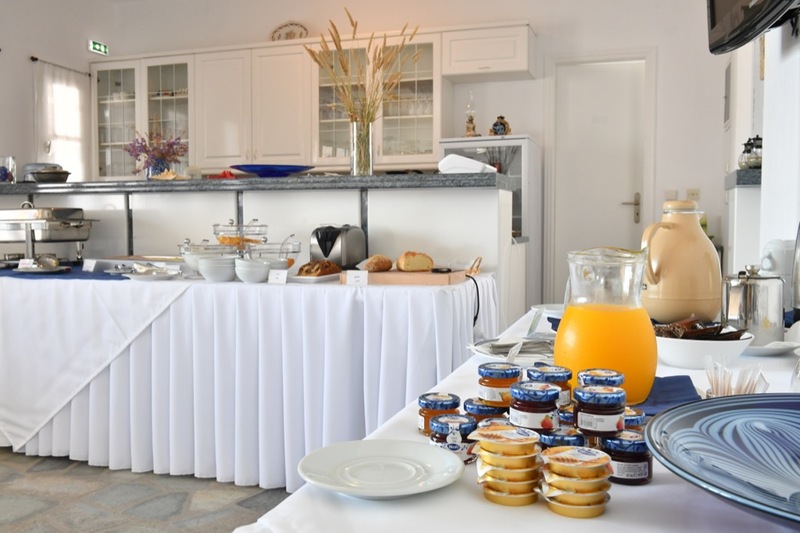 Served between 08:30 – 10:30 Rich and well-presented buffet breakfast based mainly on fresh & local products with ideas inspired by the Parian & Mediterranean cuisine. We are more that confident that Bocamviglies Snack Bar will be your favorite stop point of the day! Your ideal scenery to enjoy your coffee, a glass of wine or a frozen beer, coming along with local delicacies. A new Mediterranean inspired dish “Dish of the day” available day-to-day, pies and sweets, sandwiches and fresh salads prepared with care from our loving cook are waiting for you to taste either on the spot or take-away on the beach or excursion. Superb breakfast. Maria, George, and their colleague were hospitable, informative, made excellent suggestions about spots to visit. Walking distance to Naoussa town but in a beautiful quiet bay where I swam morning and evening. I want to stay there again! I thoroughly enjoyed staying here. The host was kind and welcoming, the room was clean, and the breakfast was delicious. Eating breakfast on the balcony while looking out on the sea framed by a vivid pink bougainvillea plant was magical. The walk to the beach was literally 2 minutes to get to a smaller part of it, or 5 minutes to get to a part with umbrellas. And the walk into town was perhaps 7 – 10 minutes. Very, very nice family hotel, just in front of the lovable Ag.Anargyri beach (you can swim whenever you want, it is nice, calm and not crowded). 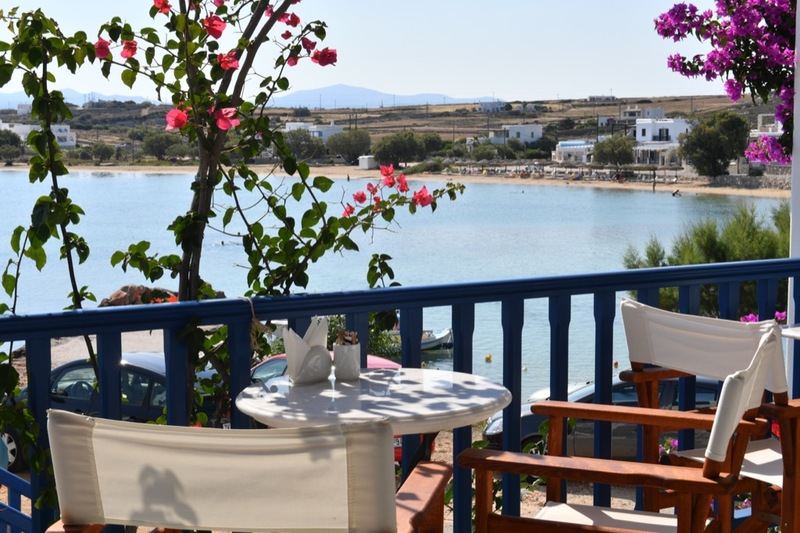 Iorgos is a perfect headmaster, friendly and full of indications to help you choosing the right beach, the right restaurant, the right place. Good breakfast. Pace, sea and rest. 10 minutes walk to reach Naoussa center. Also close to a fantastic bakery…Definitely I would suggest it to everyone. Of all the accommodation we viewed on the island, this one stole our hearts. The people were friendly and accommodating, and the location perfect!! We enjoyed our stay thoroughly, and I can certainly recommend Bocamviglies By the Sea in Naoussa for an amazing holiday! !